TINY T-REXES = BIG TROUBLE!!! 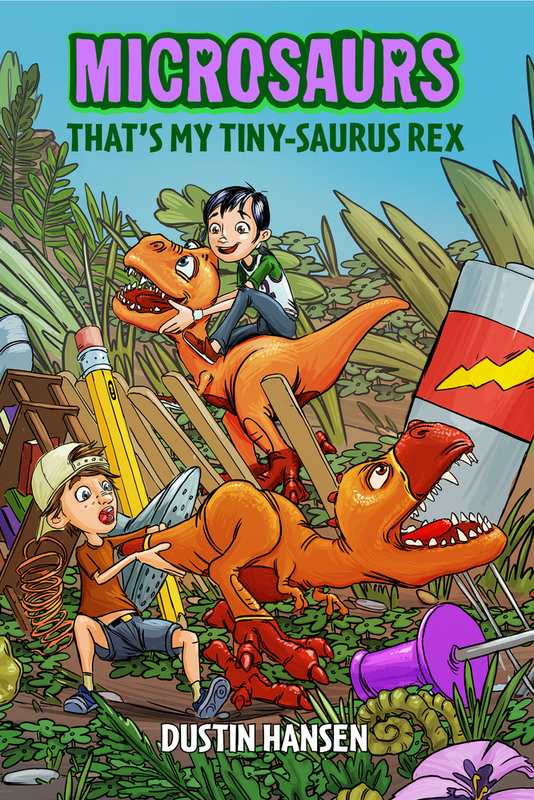 Adventures (and disasters) abound in this fun, fast paced chapter book about the perils of taking care of tiny dinosaurs. 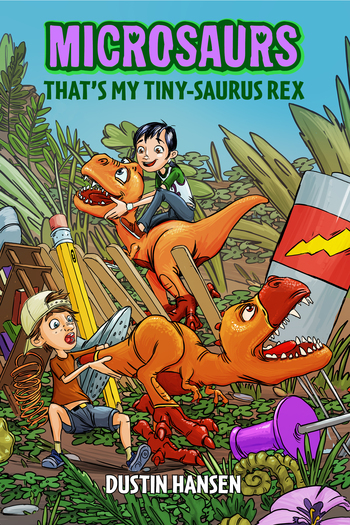 Adventures await in That's MY Tiny-Saurus Rex, the third book in Dustin Hansen's fast-paced and delightfully illustrated Microsaurs series. Lin chewed, swallowed, then opened her mouth and stuck out her tongue. Specks and crumbs from Fruity Stars cereal covered it like glitter. Dustin Hansen, author of Game On! :Video Game History from Pong and Pac-man to Mario, Minecraft and More and the Microsaurs series, was raised in rural Utah where he spent many days hiking red rock canyons that once belonged to the dinosaurs. After studying art at Snow College, Dustin began working in the video game industry, where he has been following his passions of art and writing for more than 20 years. When not writing or making video games, Dustin can often be found hiking with his family in the same canyons he grew up in, with a sketchbook in his pocket, a new idea in his mind, and a well-stocked backpack over his shoulders.